Fashion UK, Blueprint and Kokomo have all signed with the IP as it readies for its milestone 70th anniversary next year. The complete range is now available across all Essentiel stores as well as various department stores throughout the world. The acquisition includes taking an 80 per cent controlling interest in Peanuts and 100 per cent of Strawberry Shortcake. 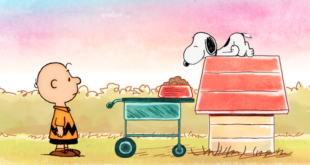 The remaining 20 per cent interest in Peanuts will continue to be held by members of the family of Charles M Schulz. ‘Zara’s role as a key player in the fast fashion industry keeps Peanuts front of mind with the key millennial demographic,’ says Peanuts Worldwide’s Tara Botwick. If you're looking for some news that doesn't contain the word 'Trump' or 'Brexit' then Licensing.biz has got you covered (mostly)! Here are the top 10 news stories from this week. Reuters has reported the firm is looking to sell the brand along with Strawberry Shortcake.